Taking Beets To A Whole New Level! Beets...A Natural Fresh Earthy Sweetness. There's just something very comforting, and almost old-fashioned about beets. ROYAL BEETS is the world's most unique health food company. My goal was to created a myriad of delicious beet products for Beet Lover's and Non-Beet Lovers alike. Royal Beets is inspired to keep you..... on the beating path to health. Let go of your daunted childhood taste preconceptions of those overboiled tin-canny kind of beets and allow yourself to enjoy an unique european experience of robust flavor. Enjoy the health benefits of beets, while indulging in our delicious beet fusions made with organic brown sugar, cinnamon, pomegranate molasses, hibiscus, apple cider vinegar, and many other wonderful natural herbs and spices. Try our....Beetdil Relish, Cranberry Beet D'lite, Beet Lemon Jam, and our Beet Lemon Glaze. Use on cakes, pastries, biscuits and many other receipes. Instead of a Peanut Butter Jelly sandwich. 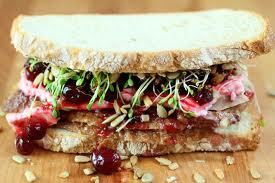 Introduce your kids to a Peanut Butter-Beet Lemon Jam Sandwich....more nutritious and delicious! Our beet lemon jam has Iron, Folic Acid, Vitamins, Minerals, Phosphorus and much more. Want a fabulous appetizer.....Try our Cranberry Beet D'lite on a cracker, with some delightful goat cheese or a relaxed cream cheese. Cranberry Beet D'lite also makes a tasty side dish for a rack of lamb. Our Beet Relish is one of a kind. Try in a nice mixed spring green salad or compliment your favorite turkey or chicken sandwich/sub. Our beet relish is even great on a tuna salad sandwich. The Flavor, the vibrant magenta color and soft-but-firm texture are very appealing, especially when you team them with a vinaigrette and some really creamy goat cheese. When you're barbecuing or hosting an outdoor bash, ramp up those taste buds for a healthier condiment alternative. Embellish your favorite hot dog or burger with our tarty-sweet BEETDIL RELISH. Beet and dill pickle fusion with a tarty-sweet brown sugar brine. Go ahead, enjoy a Guilt-Free Summer. Cheat healthy! A RECIPE MUST TRY! Beet Relish layered in your favorite potato salad, with a top garnishment of Cranberry Beet D'lite. 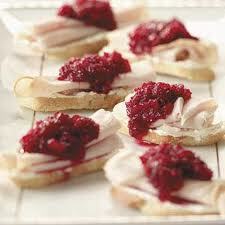 Thanksgiving dinner.... don't forget to try our Beetdil Relish on that leftover turkey sandwich! 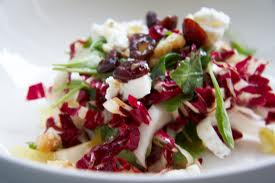 Christmas...Indulge in our Cranberry Beet D'lite, makes a beautiful and delicious side dish. BON APPETIT', ENJOY OUR ROYAL TREATS! Hibiscus Tea Health Benefits: Studies have shown that drinking hibiscus tea can effectively lower high blood pressure and reduce high cholesterol levels in many individuals! For more information, click here.